I find LASIK surgery so powerful! For someone who has worn glasses and contact lenses for most of their life, then all of a sudden to one day be able to wake up and see, I think it’s a spectacular experience! 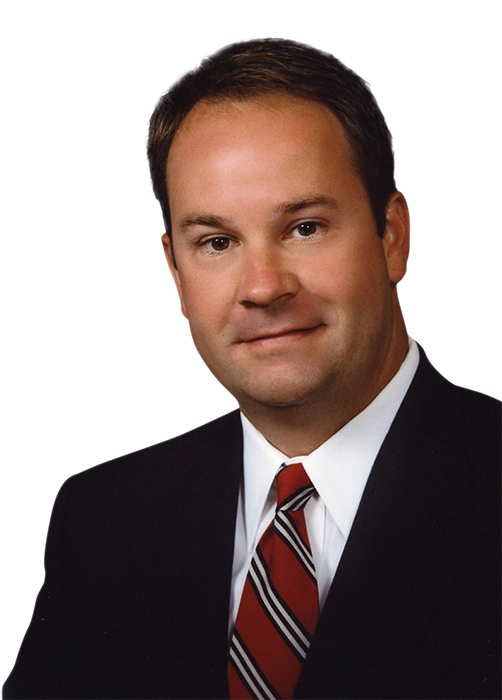 D. Shawn Parker, MD, FACS, a Kentucky native, settled in Cape Girardeau at Eye Care Specialists in 1998 following his corneal and refractive fellowship in Indiana. As a corneal specialist, Dr. Shawn Parker treats complex conditions of the cornea (the front part of the eye) such as Fuchs’ dystrophy, keratoconus, keratitis, and corneal diseases and traumas. He performs corneal transplant and glaucoma surgery as well as refractive surgery including cataract and LASIK laser vision correction. Dr. Shawn Parker was the first surgeon to perform LASIK in this area and his excellent surgical outcomes and personalized patient care have made him one of the most chosen LASIK surgeons in southeast Missouri. Dr. Shawn Parker’s clinic days for regular appointments vary. He sees patients primarily at our Cape Girardeau location typically on Thursdays, every other Wednesday and Friday, and Mondays when he’s not in surgery. He performs cataract surgery at Doctors’ Park Surgery Center four to five days per month, LASIK surgery at our Cape Girardeau office every other Friday, and more complex corneal cases at Saint Francis Medical Center every other Wednesday. He sees patients at our Marion location on Tuesday mornings and performs cataract surgery at the Marion Healthcare Surgery Center on Tuesday afternoons. In his leisure time, Dr. Shawn Parker enjoys vacationing with his family, sharing his ophthalmic skills on mission trips, or simply testing his athletic prowess on the tennis court or golf course. While ophthalmologists are trained to care for all eye problems and conditions, subspecialists obtain advanced knowledge and training in a specific area of eye care. One to two years of additional, more in-depth training, called a fellowship, in one of the main subspecialty areas such as glaucoma, retina, cornea, and plastic surgery, is required. This added training prepares specialists to take care of more complex or specific conditions in certain areas of the eye. Dr. Shawn Parker is a corneal and refractive specialist specializing in conditions of the cornea (the front part of the eye) such as corneal transplants, Fuchs’ disease, and keratoconus. He also performs refractive surgery such as cataract surgery with presbyopia and astigmatism-correcting lifestyle lenses and LASIK laser vision correction. He is the only corneal and refractive specialist at Eye Care Specialists. Ophthalmologists are trained to care for all eye conditions and diseases. If an ophthalmologist is a “subspecialist” or is “fellowship trained”, he or she has undergone an additional 1-2 years of more in-depth training in a specific medical or surgical eye care. Dr. Parker completed a fellowship in Corneal and Refractive Surgery specializing in conditions and diseases affecting the cornea (the front part of the eye) and refractive surgery such as cataract or LASIK laser vision correction. The following affiliations help Dr. Parker stay abreast of technological advancements in ophthalmology and corneal refractive surgery. The The Cornea Society is dedicated and committed to advancements in diseases of the cornea and external eye. The Cornea Society is the single, largest subspecialty society representing the subspecialty fields of cornea, external disease, and refractive surgery. ISRS is a global organization and a partner of the American Academy of Ophthalmology. ISRS connects members from over 80 countries and provides up-to-date clinical and research developments in refractive, cornea, cataract, and lens-based surgery.